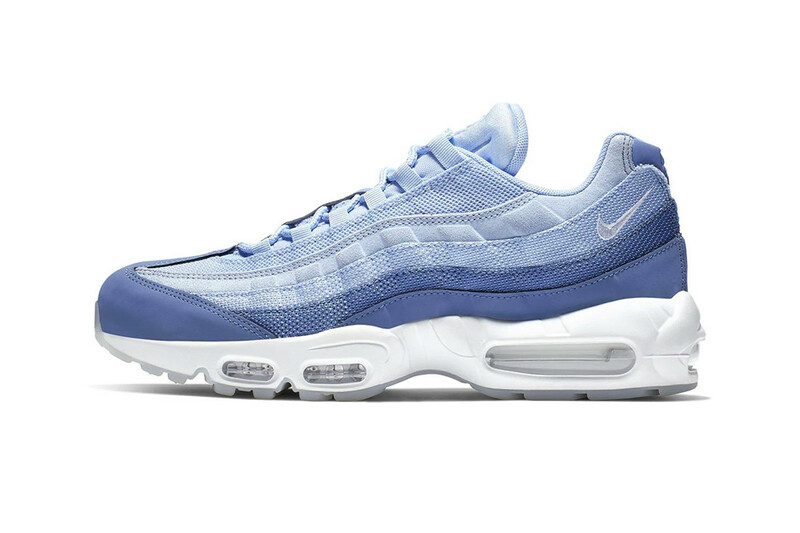 A Closer Look at Both Colorways of Nike's Air Max 95 "Have a Nike Day"
Which is the superior makeup? Nike‘s “Have a Nike Day” pack continues to roll out, following the recent Air Force 1 reveal with a duo of thematic Air Max 95s. Offered in two different colors, the shoes both sport white midsoles and translucent outsoles, with one iteration utilizing tonal blue and the other mixing hits of black, beige and blue. The former model boasts navy nubuck around the bottom of the upper, with layers of lighter blue mesh above, leading into the tonal shoelaces and tongue smiley face. Meanwhile, its darker counterpart features black around the tongue, heel, sockliner and lower portion of the upper, even tapping a matching air bubble to drive the theme home. Along with the multiple colors across the stripes above, the tongue also features a white-outlined smiley face on the tongue and “HAVE A NIKE DAY” textile eyelets to reiterate the playful theme. A Closer Look at Nike's Opulent Air Max 98 "Year of the Pig"
Including a sculptural incense chamber by WACKO MARIA. Doesn’t pertain to you if you borrow someone else’s account. Zipped pockets, oversized outerwear and another UGG collab. Sales were up 30 percent within 48 hours. Updated colorways for the collaborative runner, just in time for Spring.